Either a 1 piece box with attached lid or separate base & lid. 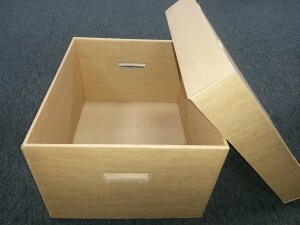 We are able to manufacture both types of archive box. This type of box is ideally suited to be stacked for long term storage. 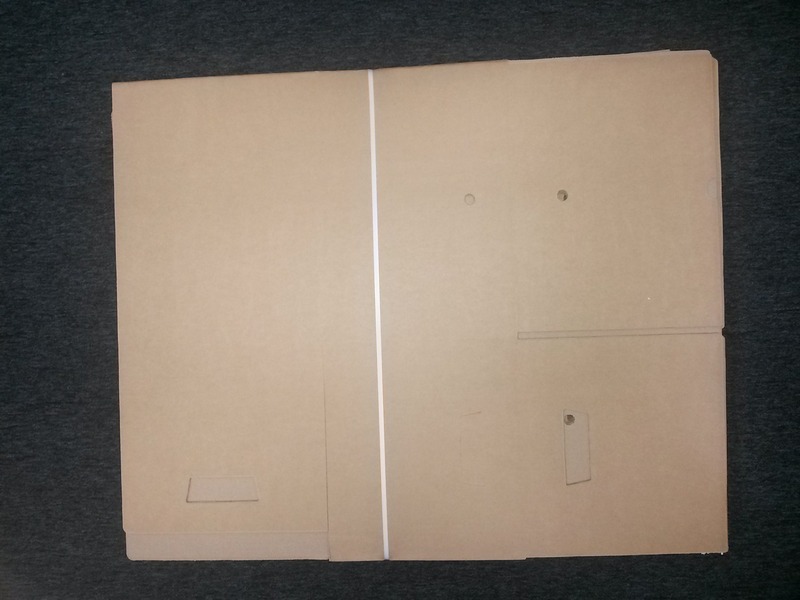 Most archive boxes are made of a single wall board so they are cheap to buy but become very rigid when assembled. It can hold a whole range of items but the most common use is document storage (medical records, company accounts, employee records…etc.) all of which are required to be kept for a minimum number of years. We supply a large number of self storage companies and archiving companies. This type of box requires a cutting forme to be manufactured. We have machinery capable of doing small runs on a flatbed platen (from 100) up to large runs of 1000’s manufactured with a rotary forme at high speed and low unit cost. We already have tooling available for a number of common sizes or we can produce a size tailored to your requirements. This type of box can also be printed so you can add text, tables to fill in references, company logos and branding, assembly instructions or anything else required. 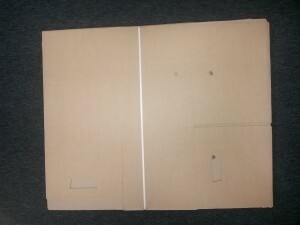 Archive boxes arrive flat packed for easy storage.